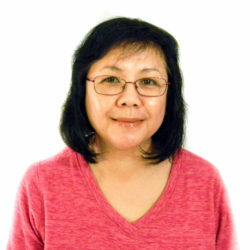 Law Teng is an active workshop speaker for conferences & colleges, mentor of young adult women, co-leader for women’s recovery ministry, and college advisor for first generation uni students. She holds a BA in History and a Doctor of Jurisprudence degree. For many years she served as a Children’s Ministry Director and Youth Counselor. Her most challenging role has been homeschooling her four children. In her mind, motherhood never ceases to be otherwise. As a 20+ years veteran homeschooler, she continues to assist and guide younger teacher-mothers sharing the same pursuit. She doesn’t shy away from the label “stay-at-home mom” provided it moves beyond surface stereotype. Three strong and very dangerous Chinese women stood before me, determined to change my mind. With strength, they had survived World War II by adapting in the wild mountains where they hid when Japanese planes conducted air raids and bombing attacks over their homes. They survived the Chinese Civil War with tact and escaped to undeveloped Hong Kong. They endured years of working in crowded sweatshops with low wages in order to support their families. Their combined life experiences made them formidable and intimidating. Saying “No” to them was a dangerous decision for it meant the risk of straining our relationship by conveying a lack of appreciation for their sacrifices. It was not my intention to disappoint them or dismiss their aspiration for me. Behind the three of them: my mom, my aunt, and my grandmother, stood shadows of my ancestors, all women who waited for this moment when one of their own obtained what they long desired – the chance to be an educated, autonomous woman. At least, this was what was conveyed to me. It had the appearance of a Western showdown with an Asian twist. Unfortunately for them, I had already made up my mind. Years of education and reflecting on women’s issues had brought me to this point. Back in the 80’s, American Feminist History was the rage across university campus. My professor, a bright, young, enthusiastic feminist taught our undergraduate class which was composed mainly of female students. Largely due to her, our wafer-thin understanding of feminism and the suffrage movement was corrected. During one particular class, she challenged us to consider whether Susan B. Anthony and Elizabeth Stanton really fought for the rights of all women. To suggest otherwise seemed sacrilegious to us. The class debated and as we examined primary sources we began to gasp and grasped: our brave suffrage heroines had indeed marched and championed for women, but by “women” they mainly had in mind well-educated, middle-class, culturally developed, propertied, white women. I learned it is necessary to have a frame of reference for the term feminism to have meaning. Essentially, we can’t assume we all define “women” and “women’s rights” the same way. For example, western feminism is quite a different beast from feminism in developing countries. The former tout gender equality but the latter just want dignity in their female role. A dangerous woman is someone who is intellectually honest about her conscious and unconscious biases and how it molds her feminist ideologies. She is not afraid to test her presuppositions. In a later class, my professor challenged us to examine the feminist goals. She revealed that Anthony disdained her sisters because they were married. In Anthony’s mind, her marrying sisters had signed-up for oppression. With this, my professor segues into her own experience working with feminist organizations. Several of her friends had gotten either engaged or were dating and she noticed they were slowly being ostracized. No one called them out and accused them of being traitors in words, but in action, yes. “You are not as us” was the deafening silent indictment. My professor witnessed her friends “forced” to choose between the Movement and their love. She challenged us to consider whether this was another form of oppression? Here is another lesson I took away: I’m against the uncritical embrace of western second-wave feminism, because such an uncritical attitude could have a detrimental effect on women’s personhood. Is the Movement for women? Or are women for the Movement? Rebekah Curtis wrote: “A feminist loves women in groups of a million or more. What matters to a feminist is the abstract ideas a person claims to have about ‘women.’ How a person treats the real live women to whom he or she is closest is irrelevant.” This conclusion might be unfair and inaccurate, but sometimes, a dangerous woman is someone who wrestles with the possibility that many women have been misunderstood and their rights to make individual choices have been judged and sacrificed by the Movement. Fast forward to 1991, five years after taking that feminist history class, I had graduated from law school. With several years of working in a law firm and volunteering in legal service, I was confident about my future. Very soon after my marriage, my family was hit with life –altering news: my mother-in-law was diagnosed with inoperable ovarian cancer, and I was expecting my first child. She held her first grandchild in the morning and passed away the same evening. The weeks following her death was a time of reflection for me. I knew I would be able to manage both career and family but DID I WANT TO? What does it really mean to “Have it all?” Am I less of a woman, if I opt one over the other? Then, I suddenly realized, the fact that I can ask these questions means I possess amazing privileges. So many women in the world don’t have these options. I informed my father-in-law and husband that I would work part-time. Both of them quickly assured me if I wanted to work full-time, I should. They were supportive of any decision I made. That was easy, I thought. For awhile I worked part-time, but it wasn’t satisfying. A little here and a little there was against my nature. I am someone who immerses myself completely in what I do. Finally, I decided to walk away from the practice. Once again, I realized to be able to just “walk away” and choose not to pursue my career was something I had taken for granted. I did become what they hoped for – an educated, autonomous woman – just not how they expected. I exercised autonomy in my choice to be a stay-at-home mom and applied my education, intellect, and skill in different contexts. My choice to be a stay-at-home mom has been a fulfilling career. Among others, it has afforded me opportunities to further my studies in subjects I enjoy, a flexible schedule to give workshops and lectures, time to engage in activities that I find personally meaningful such as serving as a teen counselor for urban youths, volunteering as a college club advisor, leading recovery groups for those battling addictions, hurts and unhealthy habits, and applying my legal training to assist those in need. Importantly, that choice allowed me to take a hands-on approach in raising my four children, who I had homeschooled until the end of high school and who all are attending or have graduated from prestigious universities. It may be easy to cast aside fellow women who take on seemingly “traditional” roles as the least dangerous of us all, but I challenge us to recognize the risks that come with making that choice. There will be judgment, because she who is willing to think critically and independently about everything, including the women’s movement, and who defies societal expectations of modern women’s role – whether that means to be a career professional or a “stay-at-home” mom – and who ultimately makes her own decision, is a dangerous woman.